I just want to set the tone of today but saying that this post finds Mamacita very forlorn. Her beloved Glee did not come on last night. It was replaced by, out of all things, BASEBALL. The only things I hate more than baseball are empty carbs and racial injustice. Everyone knows America's favorite pastimes are singing and dancing. 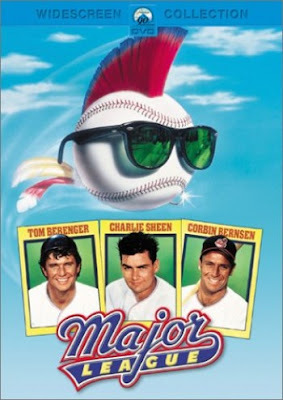 If I wanted to see a bunch of grown@$$ men throwing around a ball to the tune of $20 million a player, I'd watch "Major League". At least that movie has a little bit of romance and a strategically diverse bunch of misfits in which hilarity ensues. All of my fave new shows were repeats this week - so I feel ya, sista!